Born in 1952, Jean-Luc Perron started his career at the French Ministry of Agriculture. In 1985, he moved to Credit Agricole SA, the apex body of Crédit Agricole Group, the largest banking group in France, where he has been: Head of the Division in charge of agriculture, housing and SMEs, Head of the Department in charge of leisure and tourism developments, CEO of Credit Agricole Consultants, Head of the International Affiliates Division, Head of EU Affairs. 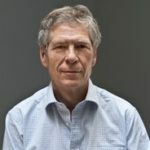 As from 2007, Jean-Luc Perron played a material role in the design, then the setting up and management of the Grameen Credit Agricole Microfinance Foundation, jointly launched by Credit Agricole and Prof. M. Yunus, Nobel Peace Prize Laureate 2006. He has been Managing Director of the Foundation since inception in October 2008 until October 2016. Endowed with 50 million Euros by Credit Agricole SA, the Foundation supports 57 Microfinance institutions and 14 social business companies in 32 developing countries in the form of loans, guarantees, equity investments and technical assistance. Its main geographical focus is Sub-Saharan Africa, Middle East and South Asia. To-day Jean-Luc Perron is Vice-President of Centre Yunus Paris, a not for profit association dedicated to the promotion of social business. He is also Vice President of Convergences, a Paris based platform of actors involved in microfinance, social entrepreneurship, impact investing and venture philanthropy.